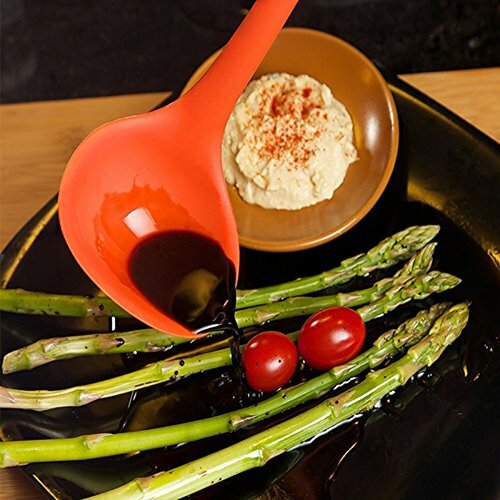 Comfortable to use, and long handles which are great for reaching into deep pots. 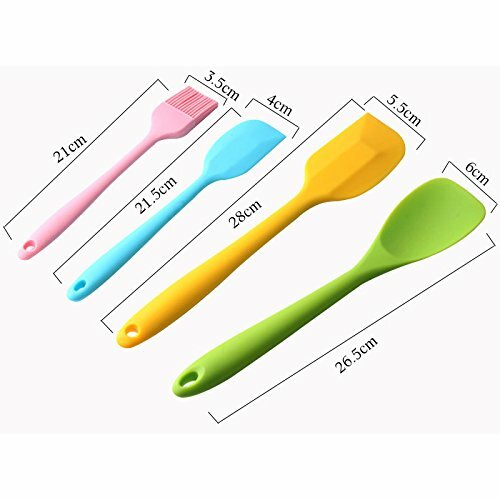 This spatula set is especially designed out of only one piece silicone , so you're guaranteed that no nasty dirt would come inside the cracks. Also, unlike their old-school counterparts, these spatulas won't fall off after just a few uses. They come in non-sticky design and have maximum endurance to high heat. A good kitchen investment indeed! So what are you waiting for? 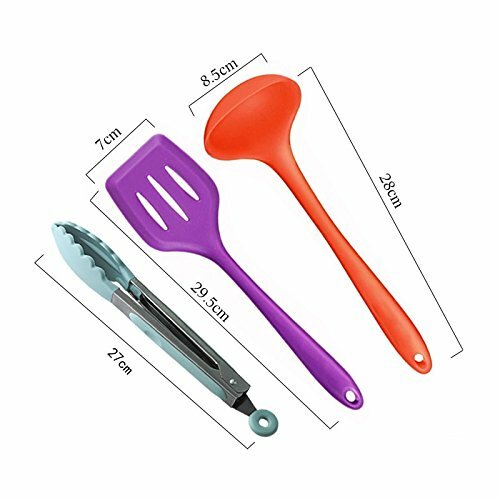 Get this set today and make your cooking a lot more enjoyable! 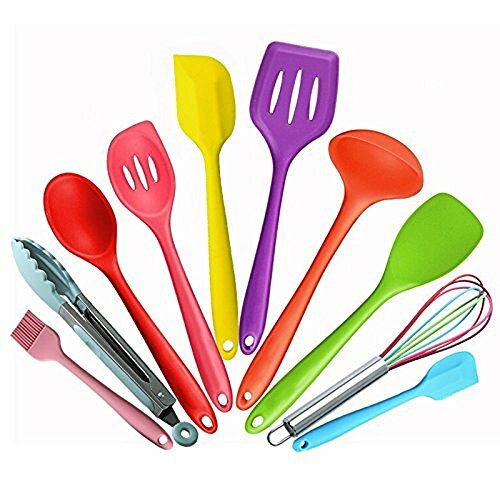 The High Quality Silicone Utensil Set Includes :1 x Brush, 1 x Tongs, 1 x Spoon, 1 x Slotted Spoon, 1 x large Spatula, 1x Slotted turner, 1 x ladle, 1 x Baking Spoonula,1x Whisk, 1x small Spatula.This Silicone Utensils Offer You Everything For Your Kitchen. 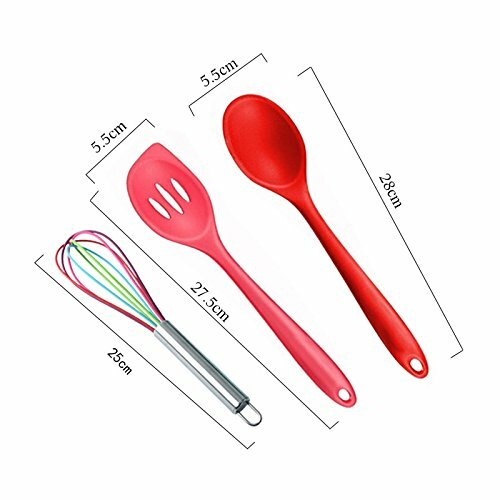 Silicone Kitchenware Series: for the family to provide a wide range of kitchen accessories, suitable for all kinds of Heat Resistant and Easy to Wash : All utensils are heat resistant up to 600F and they are also stain & odor resistant , which mean you can use it without any worries . Each Utensil is Made from One-Piece Silicone, so there is Nowhere for Bacteria to Hide. All utensils are easy Clean,just rinse under running water or throw them in the dishwasher if you don't feel like hand washing. We also use these kitchen utensils ourselves and want the best for our family and yours. Our FDA-grade silicone is safety-tested, heat resistant up to 480°F, and guaranteed 100% BPA-free. 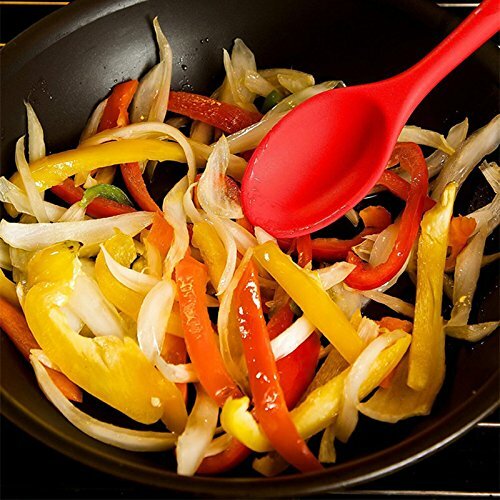 Solid silicone won't harbor bacteria or let you down by melting or warping, and is perfect for non-stick pans. 100% Money Back Gurantee: If you are not satisfied with our product, we offer a 30-day money back guarantee and life time replacement for defective items, so what are you waiting for! If you have any questions about this product by BOHE, contact us by completing and submitting the form below. If you are looking for a specif part number, please include it with your message.